Smith, president of the Cleveland branch of the National Association for the Advancement of Colored People (NAACP), and the Rev. 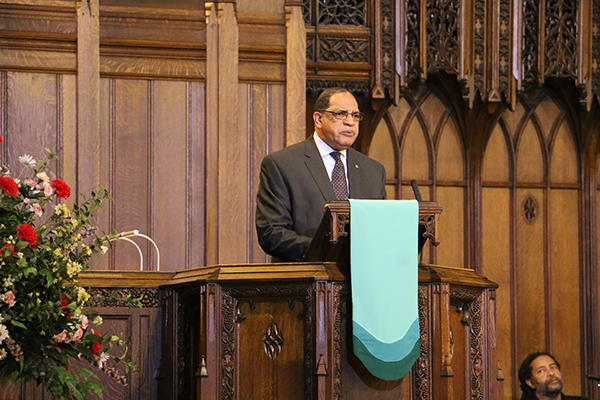 Dr. Ken Chalker of University Circle United Methodist Church (North Coast District) organized the June 23 Service of Memorial and Solidarity Against Racism in response to the fatal shooting at Emanuel African Methodist Episcopal (AME) Church in Charleston, SC. “We stand here tonight to say that love conquers all,” the Rev. Smith said. Rev. 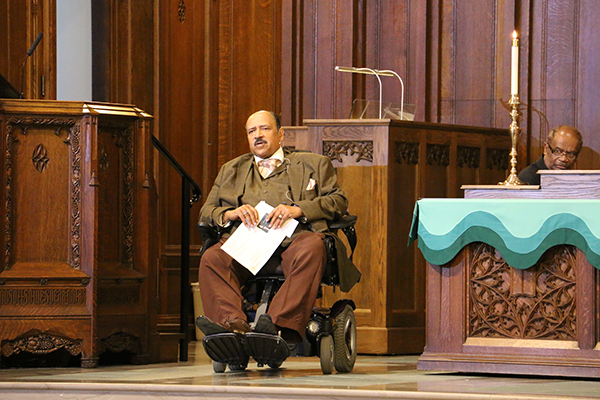 Charles Lucas of St. James AME in Cleveland shared with those gathered that he had previously preached at “the mother church” Emanuel. On the night of the shooting he learned that the mother, two nephews and two cousins of one of his St. James’ parishioners had been in the church when shots rang out. 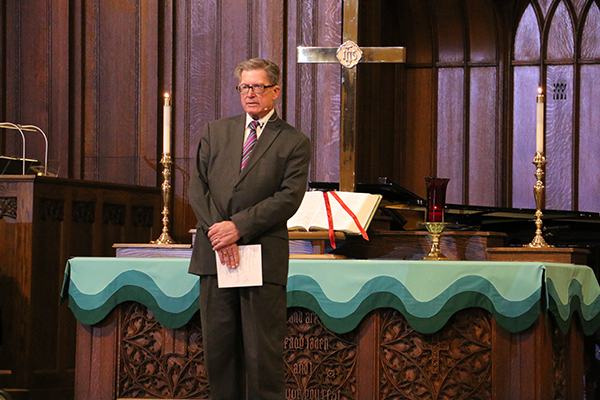 As the service continued, a bell was rung as the Rev. Dr. Chalker read the names of those killed. 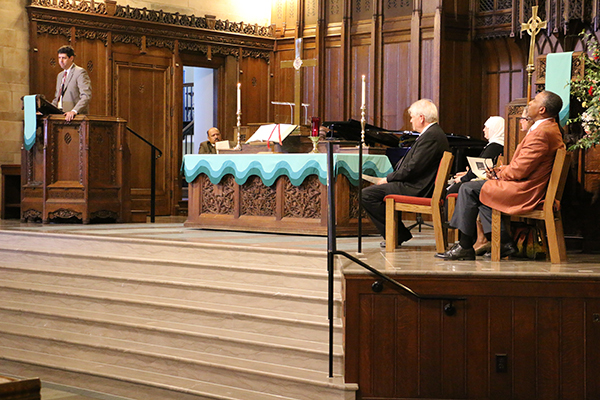 The service featured moving music and expressive dance, and was punctuated by powerful, challenging words. Storming and reflecting were also on the mind of Community Relations Board member Yvonne Pointer, who brought greetings from Cleveland Mayor Frank Jackson, who was unable to attend the service. She said she was reminded of a game she played as a child. In Red Rover one participant would call out “Red Rover, Red Rover let (insert name) come over.” That person would then run at a line of friends, whose hands were joined, with the intent of breaking the bond between them and penetrating the line. As the service concluded, We Shall Overcome played in the background as hugs, tears, smiles, and love filled the sanctuary.